7/10/08 — Acquisitions — Dordrecht, Dordrechts Museum — In 2006, there had been a restitution of 202 paintings considered to have been looted by the Nazis to Jacques Goudstikker’s heirs (see news item, in French, of 11/2/06) on La Tribune de l’Art, by several Dutch museums. 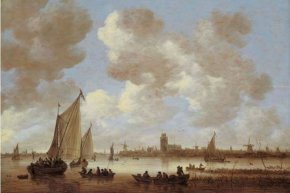 The museum in Dordrecht had thus returned a View of Dordrecht (ill. 1) by Jan van Goyen which it has just bought back directly from the art dealer’s legal heirs for 3.5 million euros, thanks to a fundraising drive among the public and various firms. 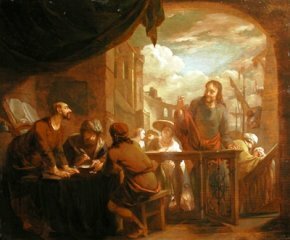 two paintings by Arnold Houbraken, a native of Dordrecht who was active there : The Vocation of Saint Matthew (ill. 2), a small panel acquired at auction in Cologne on 17 November 2007 (for 18,000 € without charges) and The Death of Dido (ill. 3) a canvas purchased at Christie’s Amsterdam on 9 May 2007 (for 12,000 € without charges). 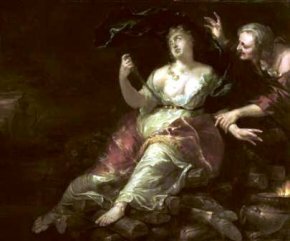 This last acquisition is mentioned on the Codart website which notes that the museum wished to keep the purchase secret until the painting had been restored. 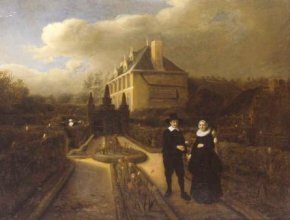 a canvas by Samuel van Hoogstraten (ill. 4) donated to the museum in 2007. The artist, also active in Dordrecht, was in fact Houbraken’s master. This portrait of a couple was done just after van Hoogstraten left Rembrandt’s workshop.